95% home loans are a type of low deposit home loans available – in some cases – in New Zealand. What exactly is a 95% home loan, how do you get one and what do you need to consider? What is a 95% home loan? A 95% home loans (or 95% mortgage) is a low deposit home loan that enables you to borrow up to 95% of the total value of the property. This means borrowers are only required to make a 5% deposit on the home loan for the property, which is much lower than the standard 20% deposit that most home loans require. 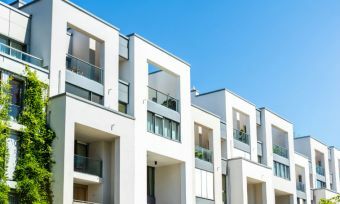 These low depsoit home loans are also called 95% LVR loans, referring to the LVR or loan-to-valuation ratio of the loan. This type of loan is generally considered by most New Zealand lenders to be a higher lending risk than an 80% LVR (20% deposit) loan. Therefore, borrowers may find the application process is stricter than it would be for a 20% deposit loan. 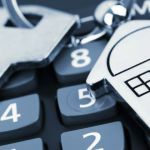 Lender’s Mortgage Insurance (LMI) is likely to be charged to the borrower and, generally, interest rates on 95% home loans are higher on average than the rates for 80% LVR home loans. Who can apply for 95% home loans? Property location and type viewed as ‘standard’ (usual property type, not overly expensive)Applications for 95% home loans must demonstrate a strong capability to service the loan (to make the monthly repayments). 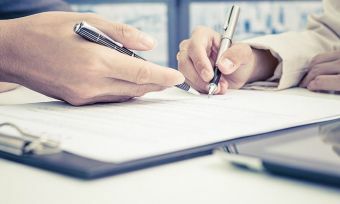 Essentially, borrowers must have a good credit report with a history of consistently repaying loans and credit cards. 95% home loans are therefore not suitable for those who are struggling financially, or those who have been discharged from bankruptcy. High level of savings or assets (as you’ll need to show your lender where the deposit will come from. 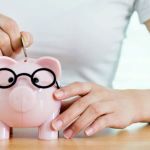 If you don’t yet have enough in savings for the deposit you need, read our article on how to reach your savings goals here. When you’re ready to move ahead with your application, make sure that you have documents proving all the above. This includes proof of identification, such as a driver’s license or passport and employment details such as payslips. Having all of these on hand will ensure the application process will run smoothly and quickly. Redraw facilities: A home loan redraw facility is a feature that allows you to withdraw additional repayments you’ve already contributed to the loan. Offset accounts: A mortgage offset account is a savings or transaction account linked to your home loan. The balance in this account is offset against the balance of your home loan, so that you pay interest on less of your loan balance. Additional repayments: Most home loans allow you to make additional repayments on top of the required monthly repayments. Making additional repayments helps to pay off the loan quicker, thus paying less interest. Loan term: Like any other type of home loan, 95% home loans come with a 25-year or 30-year loan term for you to repay the loan. It is easy to find out whether the loan you’re applying for has these features, by comparing your options on the Canstar website. If you’re ready to look for a 95% mortgage, Canstar compares products and lenders on the market.